Astronomers using the Kepler and Hubble telescopes have glimpsed what seems to be a colossal moon roughly 8,000 light-years away. A	A	stronomers are reporting what may be a truly historical celestial sighting this week. 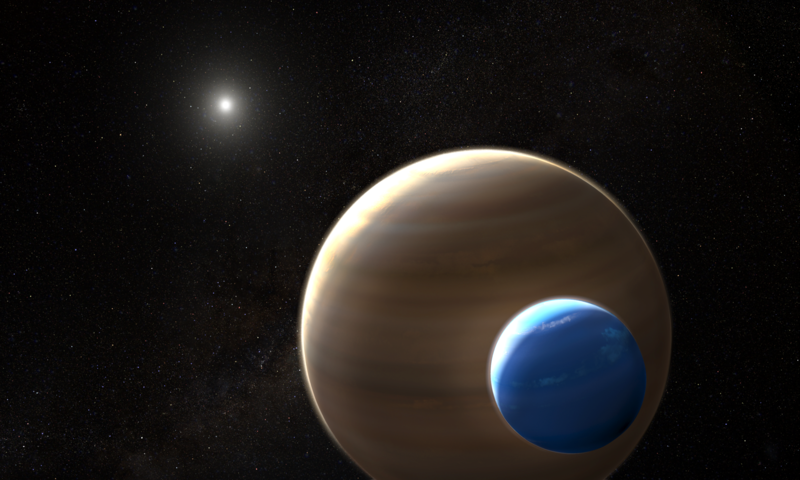 Using the Hubble Space Telescope, and some extremely serious math, researchers have provided the first tantalizing evidence of an exomoon — a moon orbiting a planet outside of our solar system. The existence of exomoons has been assumed for years. After all, many of the planets in our solar system have moons, and we know that there are other solar systems in the galaxy with planets like ours. But exomoons are harder to spot than exoplanets, and scientists have so far been unable to detect and confirm any specific extrasolar satellite. 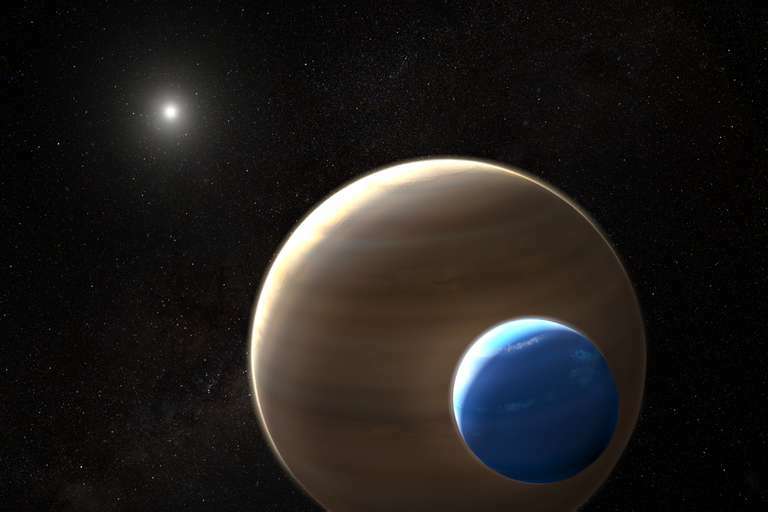 That changed on Wednesday when Columbia University researchers Alex Teachey and David Kipping presented the first solid evidence for an exomoon — and a big one, at that. The potential moon is approximately 8,000 light-years away. It appears to be several times bigger than Earth, and it's orbiting a planet that appears to be as big or bigger than Jupiter. The research team cautions that its findings will need to be confirmed by subsequent studies, and hard numbers on diameter and mass will also have to wait. The research article is available online at the journal Science Advances. The potential exomoon orbits an exoplanet dubbed Kepler-1625b, which was spotted using NASA's Kepler space observatory in a recent study that identified 284 “transiting planets.” This is the term used for planets that pass between Earth and their home star, resulting in a dimming of the star's light from our point of view. This transit method can tell astronomers quite a bit about the planets orbiting a given star, but it's much trickier to spot moons orbiting those planets. To get a closer look, the research team requested 40 hours of time with the Hubble Space Telescope, which is about four times as powerful as Kepler. By studying the transit data, the researchers were able to discern two signals that suggested the presence of an exomoon. First, they observed a slight reduction in the star's brightness, as the potential exomoon passed in front. About three hours after the planet dimmed the light from the star, Hubble recorded a second smaller decrease in the star's brightness. This is indicative of a moon "trailing the planet like a dog following its owner on a leash," Kipping said in a statement about the new data. In addition to the transit dimming, the researchers also measured certain gravitational effects that the potential moon would have on its home planet. It seems that the anticipated transit of Kepler-1625b occurred nearly 80 minutes earlier than expected. This suggests that something is tugging on the planet, possibly a moon. 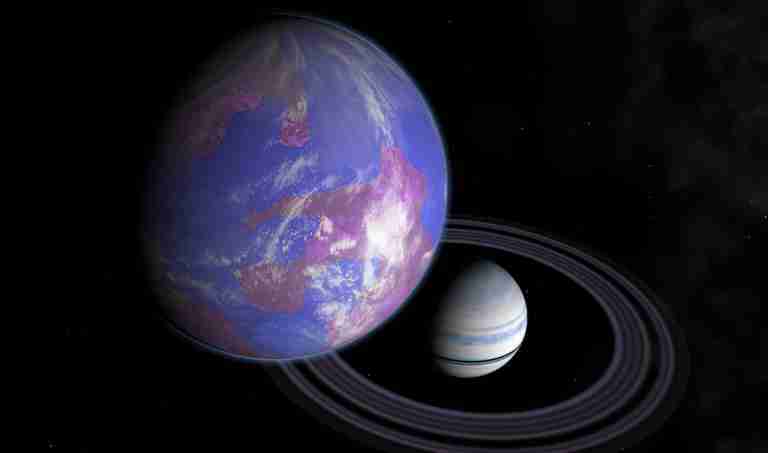 The gravitational effect can be measured as transit timing variations, or TTVs, which provide a second method of proving the existing of an exomoon. Taken together, these two clues make for a promising lead, but professional astronomers are notoriously precise and careful. Before the exomoon is confirmed, the team plans to comb through data from previous Kepler-1625b transits. In other words, they're going to look at Hubble''s archival “tapes” and see if they can spot the moon from its previous trips throwing shade at the Earth. Then they'll be closer to determining whether they’ve really found what they’re looking for.